You are here: Home / Weekly Columns / Opinion / Got a New Nintendo Switch? 7 Hidden Gems You Can Play Right Now. 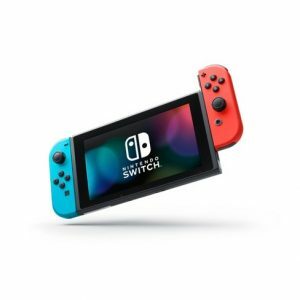 (ThyBlackMan.com) Plenty of brilliant Nintendo Switch games were released in the last two years but some of them didn’t receive the attention they deserve. There can be many reasons as to why these games are underrated, so it’s time to look at some of the hidden, underrated Nintendo Switch games that are well worth your time if you try. This list is in no particular order. These are the games that we loved but many Nintendo Switch users probably didn’t check. Looking for some weekend fun with your Nintendo Switch? Pick Iconoclasts as this game is full of fun and challenges. Inspired by the 2D action-adventure games of the 90s, Iconoclasts is one of the games that don’t demand too much but are still fun to play when you get some time. It is an insanely relaxing Nintendo Switch game that you can play before bedtime or during lunch breaks. Battle Chasers: Nightwar is a turn-based RPG that carries the same traditional RPG style into 2018. With graphics inspired by the comic book series of the same name, Battle Chasers: Nightwar feels vast as there’s so much to explore in this game. For those who have read the comic book, the game may feel a bit dull in the beginning, but the number of side quests available in the game is enough to keep you busy for a long time. The game is fairly designed for its budget. Nine Parchments is a small game but it’s fun when you play with friends or as a single player. The environment is colorful and the art design is impressive. Controls are smooth, although the game can beat you in the beginning as it requires some time to master the controls but once you get familiar with these elements, you can easily fly through its beautifully designed levels and beat enemies. A must-have Nintendo Switch game if you love the twist and turns in gameplay. The Messenger puts you in the role of a young ninja. The game’s story is deeper than what you would expect. Gameplay mechanics are simple but you will have to learn a lot as the missions are challenging. The Messenger features lovely characters and visuals which are unique and at the same time feel different in 8-bit and 16-bit versions. If you want a new, different kind of game for your Switch, get Steamworld Dig 2. It is probably one of the most underrated Nintendo Switch games that many people have missed. Developer Image & Form have poured their heart and soul in this game because when you play it, you realize that everything is just so close to perfection. Well-designed levels, thoughtful gameplay, and top-notch graphics will leave you wanting more. It starts out as a very simple looking game, but when you go deeper, the game brings you many surprises. Octopath Traveler combines deep, meaningful tales with adventure. If you do not prefer JRPGs, this game is probably not the one you’ve been looking for, but turn based combats may change your opinion about the game as the combats are engaging and fun. There will be moments when you will fight using random moves, but if you spend time learning about the right time to launch an attack, Octopath Traveler on Switch will become more exciting. West of Loathing is a genuinely funny game and you will love those silly, yet surprising combats. If you’re looking for a game that doesn’t demand too much but gives endless moments of laughter, then West of Loathing is worth trying. What surprises the most about this game is that the writer has used humor in complex situations without explaining too much through text or dialogues.